When in Germany you do like the Germans…or in this case, the German-Americans. There were plenty of local eateries in Helen, but my friends and myself were interested in finishing our German day with some German cuisine. We stumbled upon “Old Heidelberg,” which operates as a restaurant upstairs and a pub on the main floor. Yes, there is a burger pictured above, but it’s safe to say that the Germans have adopted this fast food meal into their culture for reasons I will explain in future posts. The restaurant was aesthetically pleasing and it offered a great view of live entertainment for those who wanted to sit on the balcony. Our host managed to get us seated quickly and our waiter was attentive. 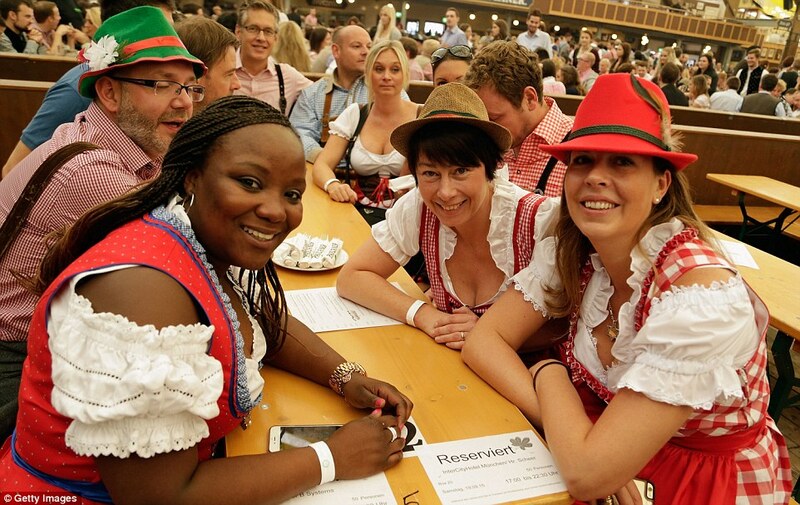 The most entertaining part of this experience was that the staff wore traditional German garbs including a Dirndl and Lederhosen (pictured right). Regarding the food, however, I think it mediocre at best. Burger and Fries: I’ve heard that hunger can make the worst food taste great. While it wasn’t horrible, it also wasn’t worth $12. Cheers for tourist restaurant prices! Bratwurst with spaetzle and mash potatoes: There was also very little seasoning used in this dish. I would even venture to say that it was bland. Spaetzle (the pasta) tastes almost like potato salad with a lot of butter. Apple strudel: In a contest between an apple pie from McDonalds and Old Heidelberg…McDonalds wins. Overall, I would rate this restaurant a 5/10 only because it looked nice, and I had a great time there. Two out of the five points is attributed to the food.